GAINESVILLE, FL: The University conferred its degrees last weekend in two commencement ceremonies. The ISE Department was represented by thirteen undergraduate degrees, seventeen Master’s degrees, and seven doctoral degrees. The M.S. and M.E. 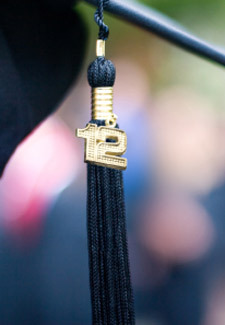 degrees included those earned on campus and online. Many graduates have already accepted jobs or applied for higher education. For our undergraduates, employers include the Eaton Corporation, Crowley Maritime Corp. and American Express while graduate students have landed jobs at the University of Arkansas, Deutsche Bank Securities, Inc., Disney, Innovative Scheduling, and the U.S. Air Force.